Here is one head bumping sound from British born nigerian producer. Maleek Shoyebi, popularly known as Maleek Berry is a British-born Nigerian record producer and recording artist. 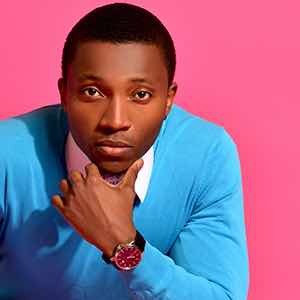 He is arguably one of the best producers in the Afropop scene by a margin to his fellow counterparts. Eko Miami is a serving of musical genius from Maleek berry featuring Uk artist Geko .”Eko Miami” simply means Lagos like Miami . The song describes the similarity between the lifestyle , vibe , culture , seaside and night life of lagos and Miami . If you are looking for a perfect tune to spin in the summer with speakers blaring in the back of your car with the roof top down then ‘Eko Miami’ is the tune for you. The track is taken from his pilot project as a recording artist , LSDOS. Without overstating the facts, I already anticipated a feel of what sound was coming from Maleek after listening to his works on Wande coal's last album, Wanted. It's never easy crossing over from a producer to a recording artist. But without a shadow of doubt , this sound reflects Maleeks growth. Nothing sounds like this in the scene. This signature sound was born out of pure vulnerability. The ability to lay it raw without holding back is what i look for in a project. The EP that births this track is a cohesive body of work with a huge crossover potential . You should listen to it . LSDOS is fire.